The new build system included with TFS 2015 and Visual Studio Online gives you all the web-based tools that you need to create and manage your builds. Collaborate with your entire team by building Visual Studio, Xcode, Xamarin, and many other types of projects. This course gives you a first look at the new system and shows you how to get started by creating build agents and build definitions. The course shows you the new cross-platform capabilities by setting up Visual Studio and Xcode builds. Simplify your deployments to Azure by using the new Azure deployment templates. Learn how to use Microsoft Test Manager to plan, manage, run, and analyze tests. This course covers scripted test cases, exploratory testing, and ways for you to gather the right information to generate bugs and get them resolved quickly. The course will take you from manual verification to full automation. The course covers Microsoft Test Manager 2013 and web-based features, including functionality added in TFS 2013 Update 4. As a developer that works primarily with Visual Studio, you may be used to working with a Centralized Version Control System. This course shows you how to use and get the most out of Git while staying inside of your Visual Studio IDE. The course covers Visual Studio 2010, 2012, and 2013 and shows you new capabilities introduced by Git inside of TFS 2013. Learn how to use Microsoft Test Manager to plan, manage, and execute manual and automated tests. This course covers scripted test cases, exploratory testing, and ways for you to gather the right information to generate bugs and get them resolved quickly. The course will take walk you from manual verification to full automation. Learn about different extensibility points in Team Foundation Server 2012 by customizing Work Item Tracking, Build Automation, Web Access, Process Templates, and internal services. The course will take you through real-world examples and teach you customization and deployment best practices, as well as give you the knowledge and skills to get the most out of TFS 2012 and support your team’s Application Lifecycle Management needs. I have just completed the Git for Visual Studio Developers course. Apologies if this question is covered somewhere else. I am moving to using a combination of Git and TFS as outlined in your course. I often use solutions containing multiple projects. Sometimes these additional projects are generic shared projects that can be utilised in many different solutions. Once using Git how do we structure our solutions so that they are managed correctly by source control but also easy to work with? Can Visual Studio handle solutions where projects are coming from multiple repo’s? Or is there another way of utilising shared projects? 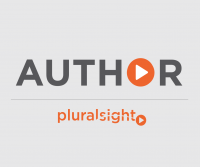 Are there any other training courses on PluralSight or elsewhere that would cover the above scenario?